The Research Infrastructure Centre of the Faculty of Natural Sciences and Engineering (NTF) offers research equipment of NTF that is also located at the Department of Geotechnology, Mining and Environment. 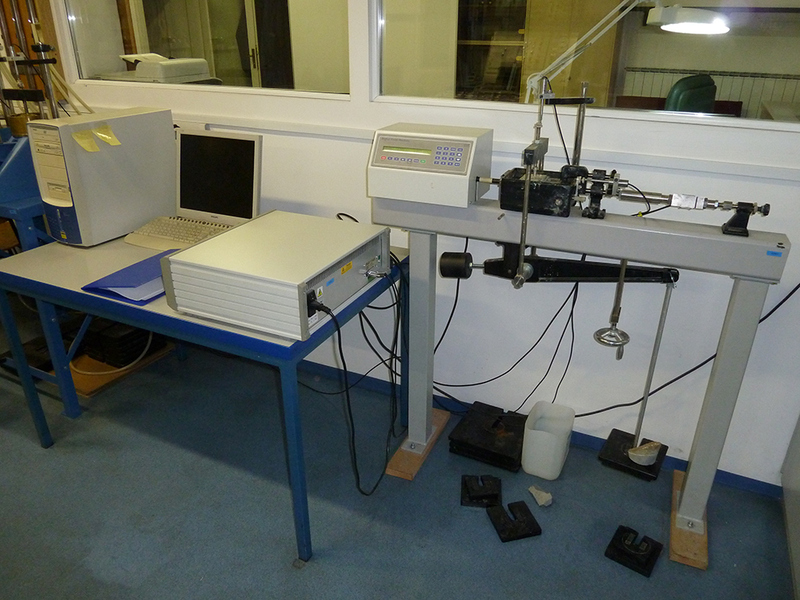 The rock mechanics laboratory is equipped with research equipment for carrying out strength and deformability tests of natural and artificial engineering materials with emphasis on specialised rocks tests. All tests were performed in accordance with standards and international guidelines that cover different areas of geomechanical investigations of rocks and soils. 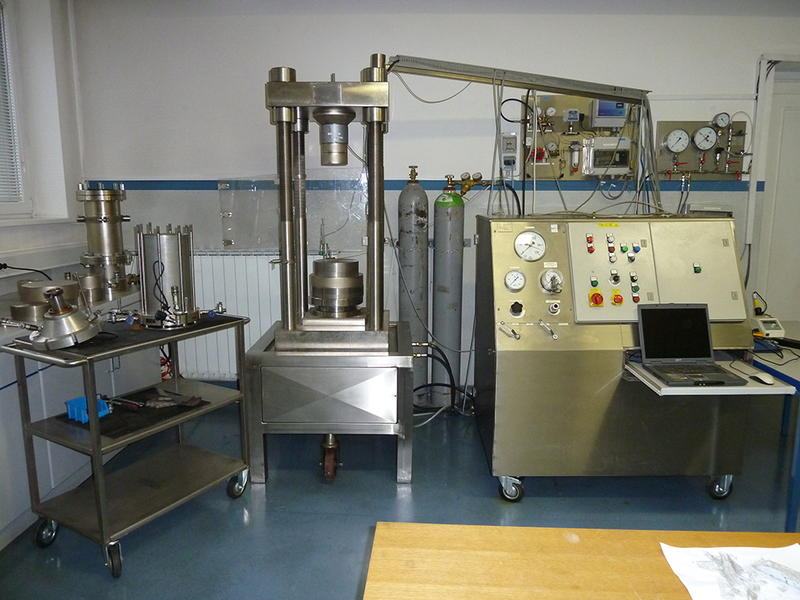 It is one of the few laboratories where researches of strength and deformability properties of rocks are carried out at high mechanical stresses using the triaxial cell, which enables confining pressures up to 150 bars. Technical assistant: Bojana Kovačič, dipl.inž.kem.tehnol. Areameter II (1990) is used to determine the specific surface area of dry particulate samples from about 700 to about 0.5 micrometres. 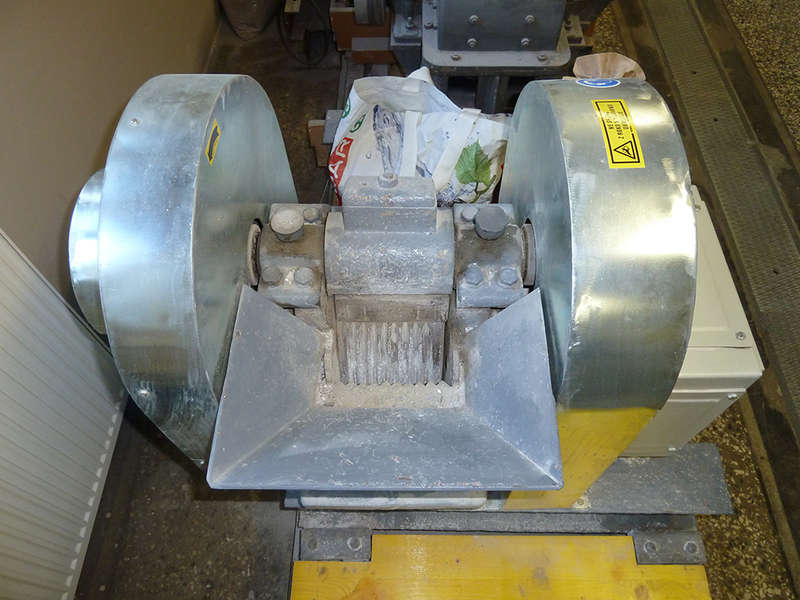 The jaw crusher is used for crushing samples of minerals of a particle size up to 50 mm and of a particle size of a few mm. 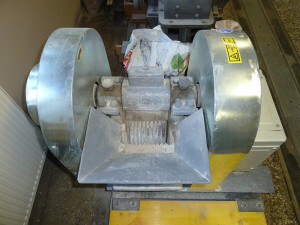 Direct shear apparatus used for determining the shear characteristics of soils and soft rocks. 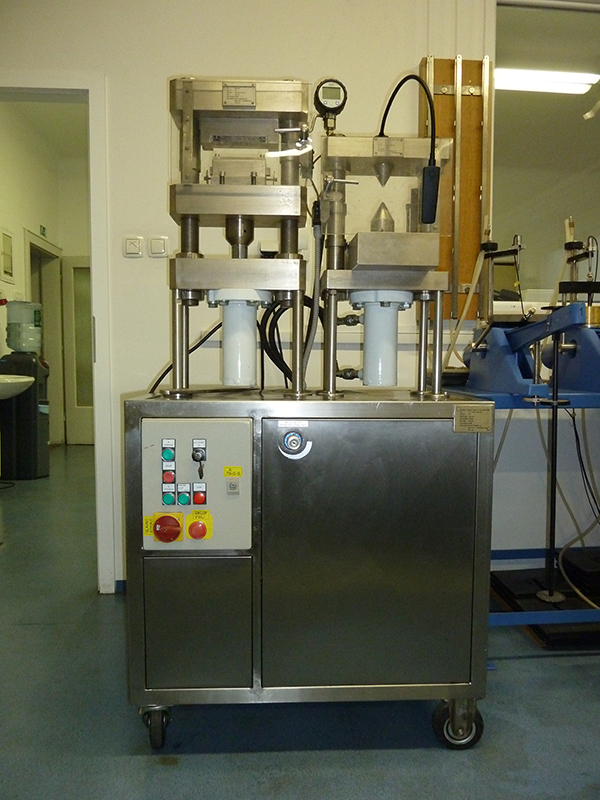 Allows the consolidation and shearing the sample at different vertical loads. 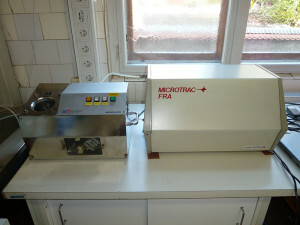 The software allows quick and easy calculation of the speed shearing, data capture and processing. The device has a capacity of horizontal thrust force 4 kN. The Denver flotation cell is used for implementation of the physico-chemical process of enriching mineral samples; particle size of about 100 micrometres. This type of ground penetrating radar is designed to measure the geological structures in dry and low conductive rocks, low conductive water, ice, etc. Depth depends on the type of antenna; the current setup can reach depths of up to 50 meters. All others must also rent a trained professional. 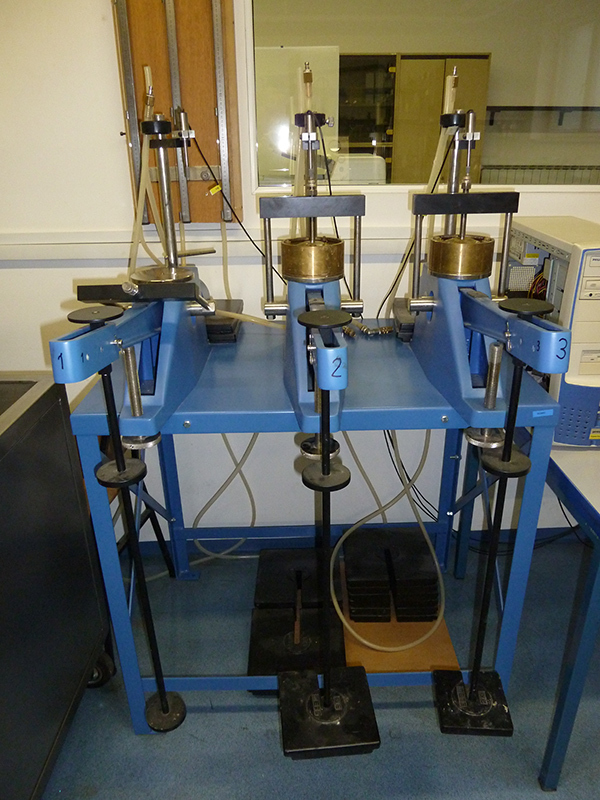 The equipment is designed for rock strength and deformability investigations and tests. It has a nominal capacity of 1150 kN. Measuring equipment is connected to a laptop with the possibility to directly manage each tape of investigation. 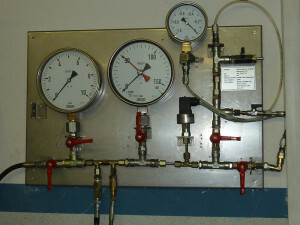 Laboratory testing machine is available by prior arrangement through the responsible administrator for equipment. The waiting time is maximum 1 week from the announcement. Price is determined by the approved fee schedule prepared for the Rock Mechanics Laboratory. Technical assistant: Bojana Kovačič, dipl. inž. kem. tehnol. 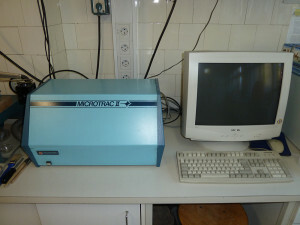 The laser analyser Microtrac FRA (1993) is used for wet analysis (dry and wet samples); particle size from about 700 to about 0.5 micrometres. Microtrac laser particle-size analyser – Microtrac II SRA (1990) is used for dry analysis (dry samples) of particles sized from approx. 700 to 0.5 μm. On-line measurement for determining the adsorption properties of CO2. 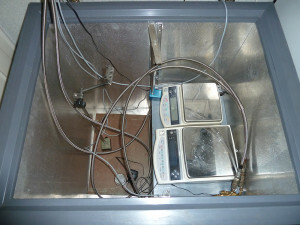 Tests on different materials can be performed. Measuring line consists of a tank of gas, the measuring point pressure cell and two scales, which are connected to a computer that provides automatic monitoring tests. 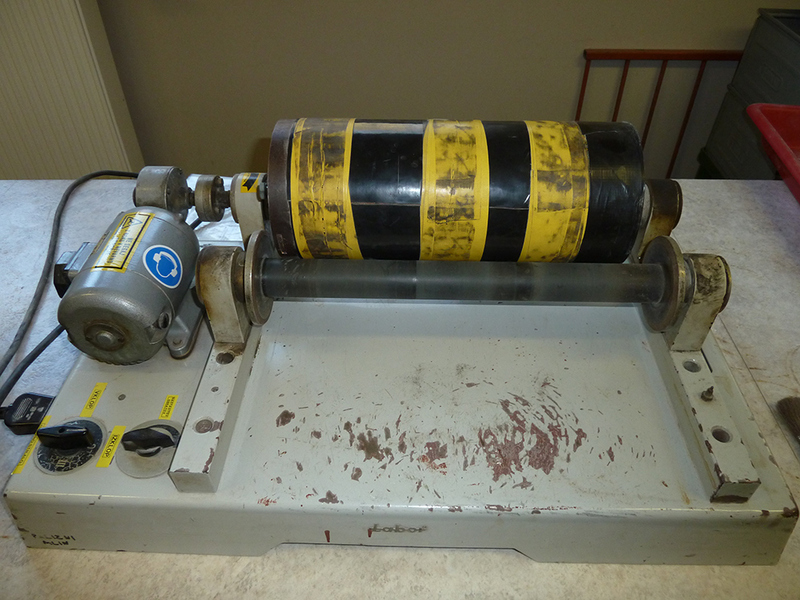 Device for determining the point strength of rock; allows rapid assessment of the strength characteristics of rocks. 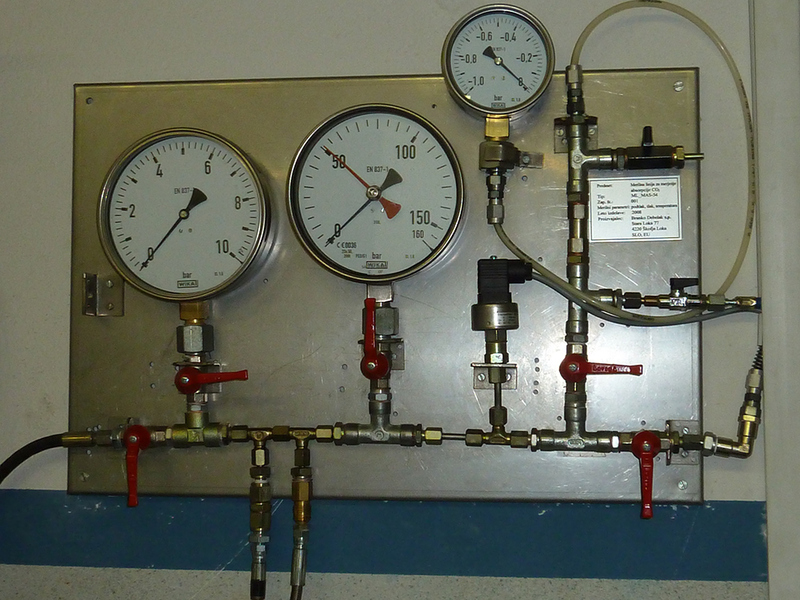 The main components of the device are the plunger, which has a rounded shape at the top of the cone, and manometer. 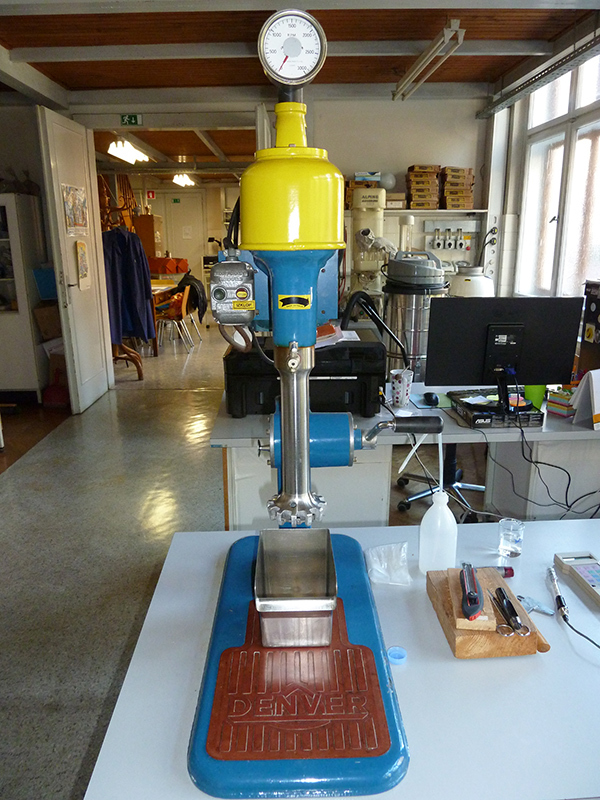 The rod mill is used for grinding of mineral samples of particles of a few mm up to particle sizes of a few dozen micrometres. The edometrov system allows you to specify the parameters of compressibility of soil. 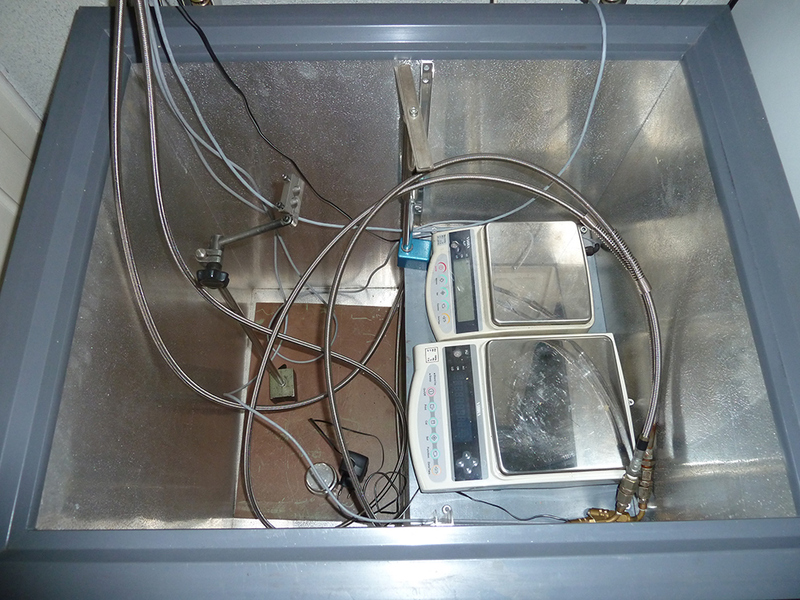 The edometer cell is designed so that the pattern of the lower and the upper side surrounded by the porous plates allows the passage of water during the test. 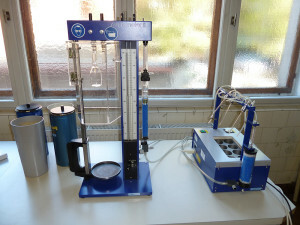 The cells are connected to the burette system, which allows the determination of the coefficient of water permeability of soil at different load levels that the sample is exposed to during the test.